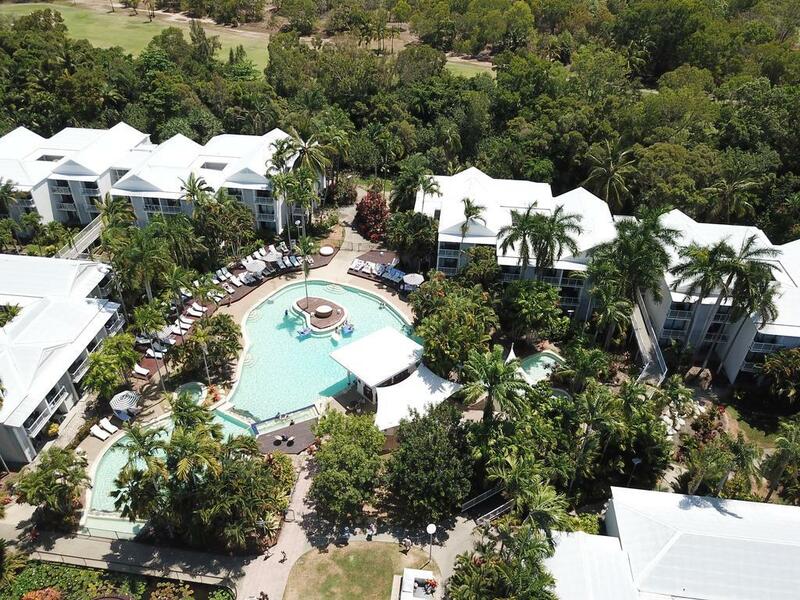 Set in lush tropical gardens Oaks Resort Port Douglas is located just minutes from the township of Port Douglas and Four Mile Beach. 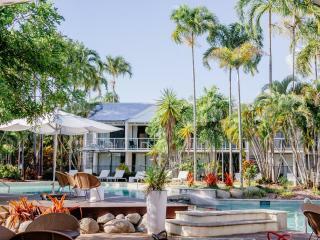 This Port Douglas accommodation features spacious hotel rooms and villas, ideal for business or leisure travel, a lagoon style pool perfect for enjoying the Tropical North Queensland sun, a modern restaurant and bar, serving sumptuous meals for all tastes and extensive day spa facilities. 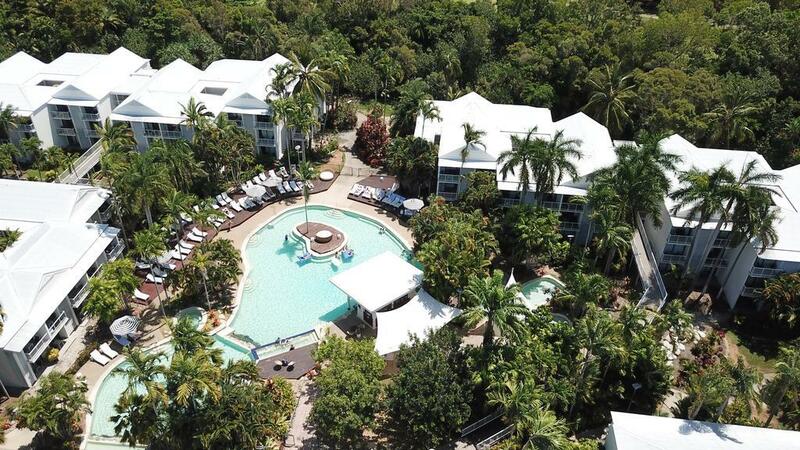 Oaks Resort Port Douglas is an ideal base from which to explore the Great Barrier Reef, World Heritage rainforest and the majestic Daintree River. 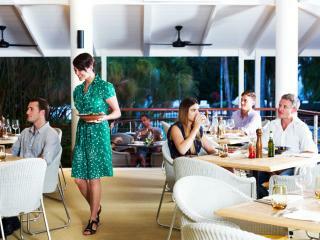 A regular shuttle service operates daily from the resort to Port Douglas village, at a nominal charge. 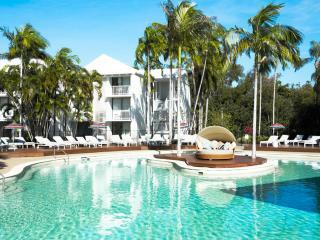 Oaks Resort Port Douglas features spacious apartments and resort rooms, ideal for business or leisure travel. 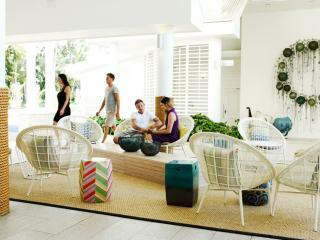 Resort Room: Featuring a private balcony with views of the gardens. Bedding is 1 King Bed OR 2 Single Beds. Maximum room capacity is 2 Adults & Children. Resort Room Pool View: Rooms feature an ensuite bathroom with designer furnishings. Bedding is 1 King Bed OR 2 Single Beds. Maximum room capacity is 2 Adults & Children. 1 Bedroom Villa: A spacious villa with a kitchenette and separate living/dining area. Bedding is 1 King Bed OR 2 Single Beds. Maximum room capacity is 3 Adults & Children. 1 Bedroom Villa Pool View: Featuring a kitchenette, separate living and dining space and private balcony. Bedding is 1 King Bed OR 2 Single Beds. Maximum room capacity is 3 Adults & Children. 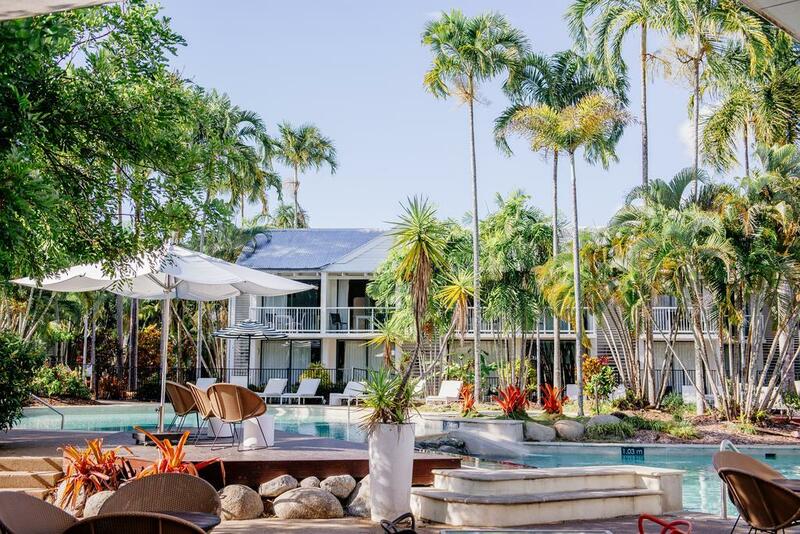 2 Bedroom Villa: Offering 2 separate bedrooms, 2 bathrooms, laundry facilities, kitchenette, living and dining area and two balconies with views of either the gardens or pool. Bedding is 2 King Beds OR 1 King Bed + 2 Single Beds. Maximum room capacity is 5 Adults & Children. Bazaar: This smart casual restaurant is open for breakfast and dinner. Enjoy a wood fire pizza, an array of classic international dishes and fresh seafood. 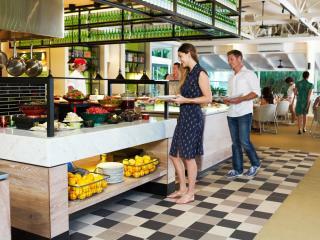 Estilo: Enjoy a relaxing drink at this modern restaurant and lounge bar. Estilo is open from 12pm - late. There are outdoor sitting booths or there is plenty of space inside to sit. SapQ: Indulge in this luxurious day spa, offering a range of services including body exfoliation and masks, massages, facials and more. There are also couple and signature packages available. Children: 0 -3 years stay free of charge when using a cot. 4 - 12 years stay free of charge when using existing bedding.